Lot:2087 1852 Liberty Head Double Eagle. FS-301. Repunched Date. AU-55 (PCGS). 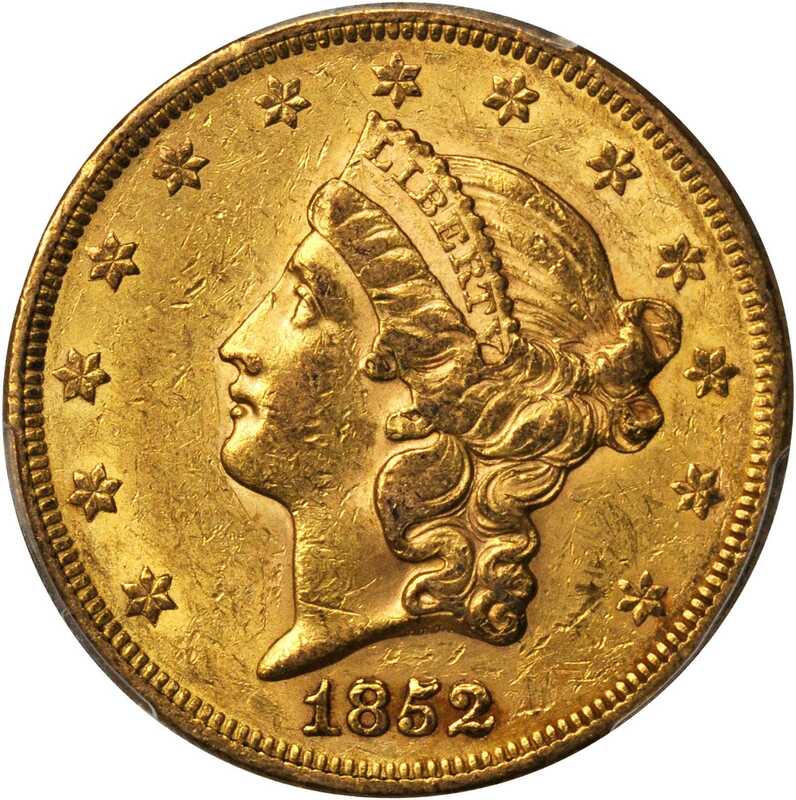 1852 Liberty Head Double Eagle. FS-301. Repunched Date. AU-55 (PCGS).This is a fully original example with handsome honey-gold patina to appreciably lustrous surfaces. All design elements are boldly to sharply defined, and the in hand appearance is uncommonly smooth for a lightly circulated early date twenty. The 1852 FS-301 is one of the most dramatic Repunched Date varieties in the double eagle series, all four of the primary digits with widely spaced repunching above. Examples are scarce in an absolute sense and, given the rarity of Mint State pieces, this Choice AU represents a particularly significant find for the gold variety specialist.From the Fairmont Collection. 京ICP备11006322号-8 京公网安备11010802011340号 | Copyright 2013-2018 首席收藏网(Shouxi.com), All Rights Reserved.